This brings up the awkward question of just exactly what is the right way to do a product launch? Well, it can be easy to get lost in the details; however, I think that the right place to start is to make sure that you are going to be launching the right product. If you create the wrong product, then no amount of effort on your part is going to result in the sales and profits that your company is looking for. Customers are not going to buy a product that doesn’t meet their needs. In the U.S. every year 30,000 new products are introduced and over 90% of them fail – clearly this product launch stuff is hard to do! As product managers we can easily run into what is called “analysis paralysis”. This happens when we realize how important a launch is and we find it hard to make any decisions because we fear what the consequences might be. I’ve got some good news for you: with the right launch process, you always have the confidence that you are doing the right thing at the right time. I’ve got some good news for you. I’ve taken everything that I know about successfully launching a product and put it into an online course that you can now access. This course covers everything that you need to know in order to get your next product launch off the ground and I provide it to you in both video and written formats so you can learn at your own speed. What does it take to be a successful Product Manager? Your certificate for completing the second level in becoming $TOMP a certified product manager.. 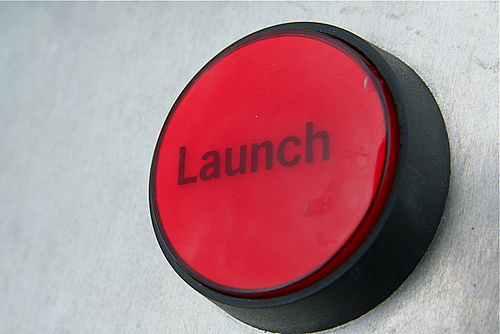 Question For You: How important is the successful launch of your product to you?